Maggie woke in darkness so complete it weighed on her eyelids and pressed her into the blankets she could feel under her bare shoulders. She'd never liked waking in the dark, even as a child, but the rush of fear she expected never came. She should have been screaming, maybe crying, but she wasn't. The weight pressing her down was the effect of whatever drugs she'd been given. Part of her was relieved that she'd been spared the fear she should have felt, but part of her wondered about the reason for that mercy. If it was mercy; she couldn't be sure. Her breath eased in and out, steady and calm, while her mind raced ahead. The last clear memory she had was leaving the DA's office, turning, and checking to be sure the heavy door had locked behind her. In the space where she should have a picture of herself walking to the bank of elevators was nothing but the darkness that surrounded her. There was no walk to her car. No ride in the mirrored elevator to the fourth floor of her apartment building. No taste of a microwaved dinner eaten at a table covered in briefs and notes. Nothing but the handle of the door in her hand. And the heavy scent of flowers. The image of the flower danced just out of reach. It was familiar, she knew that much. White petals against dark green leaves, something as well known as her own face. Concentrating on the image and the name that went with it pushed back some of the weight holding her down. A flash of light scattered her thoughts like sparrows, each taking a bit of the memory with it until she was left with only the darkness of an interrupted memory. The face appeared above her without warning. Round and doughy, with watery blue eyes that studied her carefully. Thin lips turned up in a satisfied smile. "Hello, sweet Magnolia. My own southern flower." The overpowering fragrance of the flower poured over her and sparked memory. Creamy white petals bigger than her hand, falling from the tree in her grandmother's front yard. Long, waxy petals in darkest green circling the flowers that perfumed every summer night she'd spent there. Not Maggie. Not the name she gave to everyone she'd ever met. Magnolia: the name her grandmother had insisted on when she'd stroked a twisted finger down her new granddaughter's pale cheek only moments after Maggie had been born. When a clammy finger followed the same path, her soul shuddered where her body could not, and the thin smile deepened into something darker. 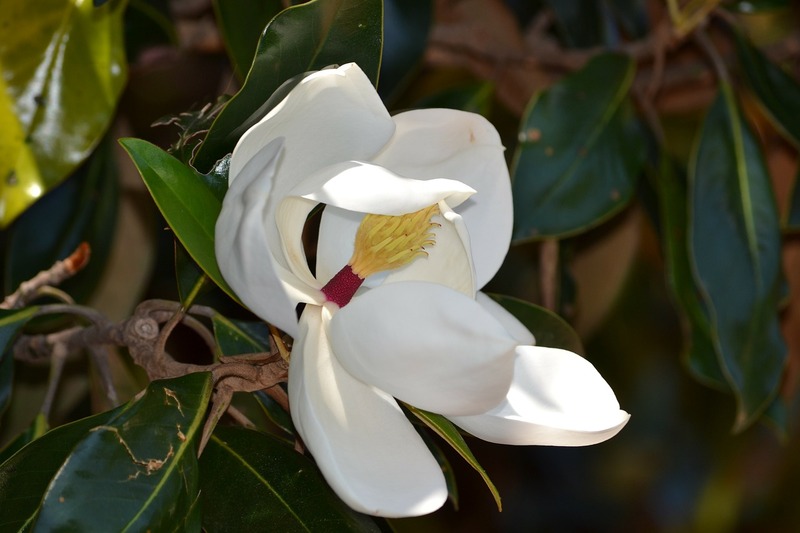 The sickly sweet smell remained long after his Magnolia had wilted and withered away.